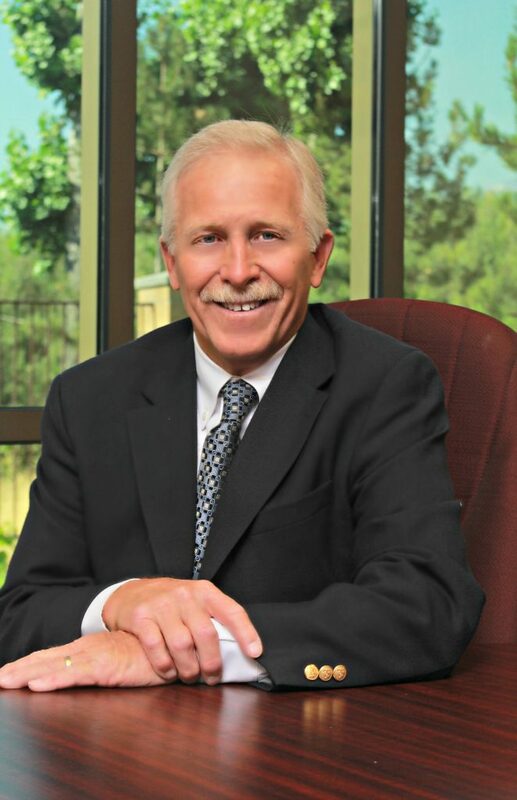 Ron serves as the President and CEO for Nevada Commercial Services, Inc. Ron created Nevada Commercial Services, Inc., as of February 1, 2005, to acquire the management portfolio formerly owned by Grubb & Ellis|NCG, which he was a key principal in developing. President/CEO – Nevada Commercial Services, Inc.
Ron was the Director of all property management at Grubb & Ellis|NCG, personally handling over 600,000 square feet of office, retail, and light industrial space. While at PriMerit Bank (acquired by Norwest Bank in 1996), Ron served as a Business Development Officer (BDO), and was the only BDO certified in residential mortgage lending. Ron focused his work on new companies coming to town, where he represented the bank to the client for all their needs from mortgages for individuals to business loans for the company. Commercial Property Manager – Real Properties, Ltd.
Ron was responsible for the management of 160,000 square feet of office space, 70,000 square feet of retail space, and approximately 900,000 square feet of industrial/warehousing space. Owner, The Jones Company, Inc.
Ron started his own management company beginning with a 75-unit homeowners association. At the time he sold his business, his management portfolio consisted of 1,500 condominium units in 10 different associations, an apartment complex of 120 units, 200 single family residential rental units, and a 90,000 square foot industrial building. Ron attended East Los Angeles Junior College and Cal Poly, Pomona. He earned his Certified Property Manager (CPM) designation from IREM in 1989. Ron is currently studying to receive the CCIM designation. Ron is an active member of the Institute of Real Estate Management Ron also holds a Nevada Real Estate License and Property Management Permit.